We Want To Know – Tell us what you think of WCIECA, what we should do, etc., your opinion matters to us. Please take the short Survey. 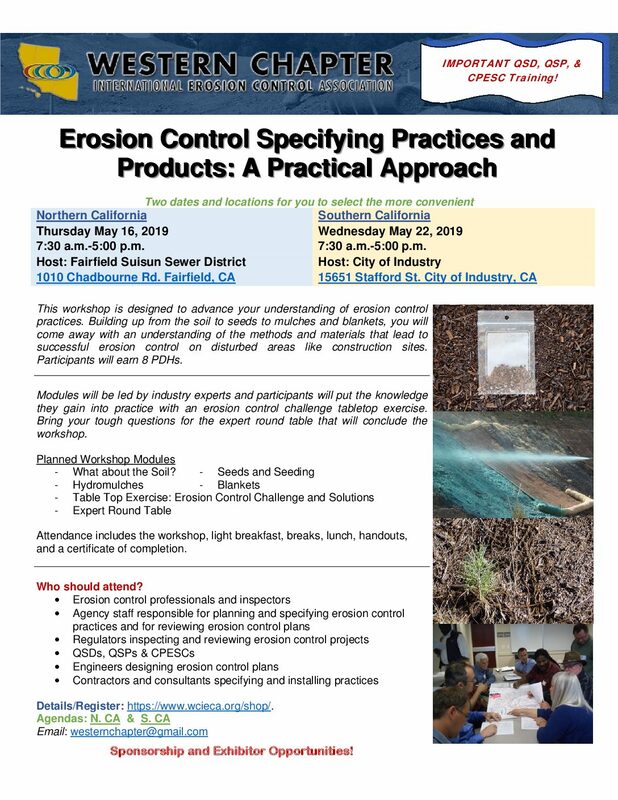 2 New Workshops in Erosion Control – May 16 N. CA & May 22 S. CA – see the details & draft agendas here! 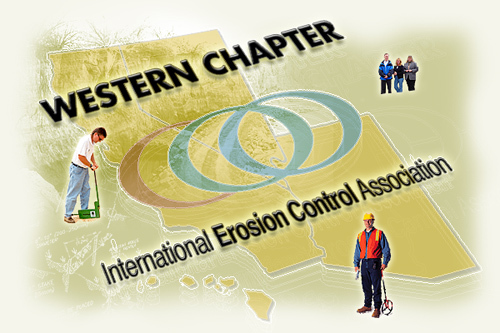 The Western Chapter-International Erosion Control Association (WC-IECA) unites consultants, contractors, engineers, agencies, developers, manufacturers, suppliers, academics, and other practitioners interested in effective and economical methods of erosion and sediment control leading to improved water and air quality; environmental restoration; and land stewardship. This chapter serves members located in Arizona, Hawaii, Nevada, and California. This web site will help to disseminate information on our chapter and its events to the members and those interested in becoming members. To become a member of the IECA, or to become a Western Chapter Member (if you’re already an IECA Member) contact the IECA Headquarters at either www.ieca.org or 1-800-455-4322. Receive the Western Chapter newsletter, information about upcoming events and other news. Erosion Control Specifying Practices and Products: A Practical Approach – S. CA. Copyright © 2019 Western Chapter IECA.